1. Our communities want good data on what is in the water, and the EPA has been slow in producing that data. Sure, it takes time to process tests, but we’re at 4.5 days past the breach. That feels too long. 2. The EPA continues to do a poor job communicating. The presentation of the limited data they have is confusing and lacks context to help citizens understand it. Rather than help the situation, the data presented further disempowers, scares, and then angers people. If you don’t have data, don’t present it. If you do have data, present it so that community members can learn from it. Do not tread the awkward middle ground – it sows distrust. 3. Don’t piss off the Navajo Nation. Navajo President Russell Begaye took the stage and made the dire situation on the reservation abundantly clear. The tribe is less than pleased with the EPAs response, and they plan to work with stakeholders up and down the watershed to do something about. This is nothing but good. Nation to nation solidarity as we try and deal with this complex issue. 4. Initial tests continue to confirm that the acute phase of the plume has been less destructive than could have been imagined. Fish and macro-invertebrates have, in large part, survived thus far. Medium and long term impacts are simply unknown. 5. States of emergency are being enacted by city and county, and the Governor has also verbally announced an emergency declaration. These moves will create flexibility and bring resources for the response. 6. Pledges are being made to compensate individuals and businesses for economic losses. First step? You guessed it. Fill out a form. 7. 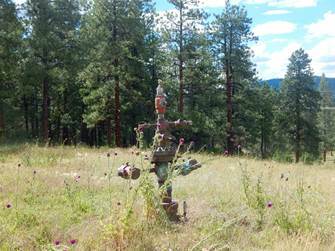 Durango’s drinking water has been deemed clean by just about everyone. And it makes sense. The city is getting water from the Florida with no mechanism for cross contamination. So long as the Animas intakes were shut off ahead of the plume, the city’s drinking water is good to go. 8. We all really want to know why this accident happened. Given that the EPA, the agency usually regulating and policing industrial activities, screwed up, the pressure is on for full disclosure of the incident. While important, it is not particularly time sensitive. We won’t forget to get our answers, but SJCA doesn’t think it is today’s priority. 9. The community also really wants to know why these mines have been spewing pollutants into the Animas River for so long. This is something SJCA knows a bit about, and the story is complex with strong political undertones. Once the dust settles on our immediate emergency, we’ll be talking a whole lot more about it. 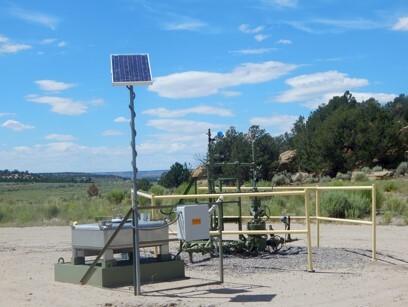 A note of caution: as people begin to realize the severity of the threat to our community by un-remediated mines in San Juan County, CO, it is important to know that there is NO easy or cheap solution. While SJCA believes that local politics have dramatically slowed action that could have been taken, this is an incredibly complex problem to solve. It will take ongoing community pressure (and engagement) to tackle. I video taped the whole meeting. And yes, this is from my FB post: “THE NAVAJO NATION IS PISSED OFF – and rightly so. 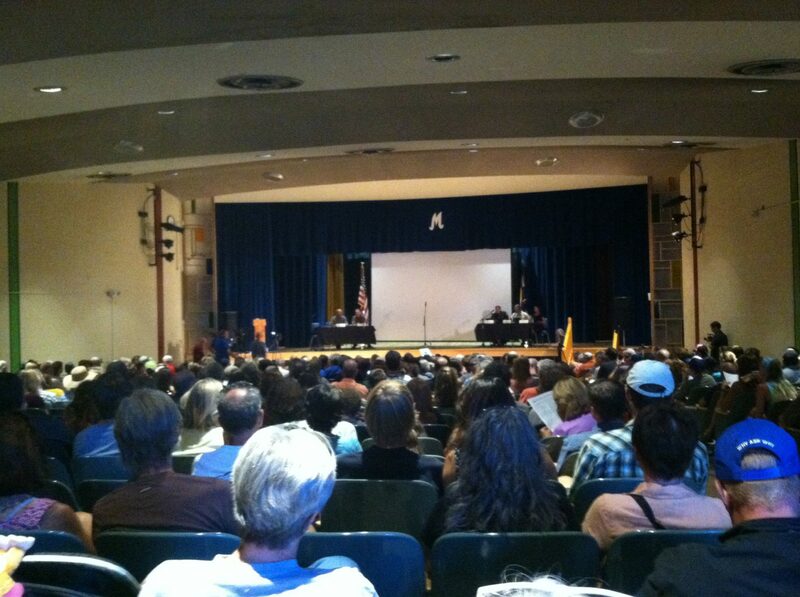 I just got back from video taping the second Durango meeting by the EPA to talk about the Gold King Mine spill. EPA gave some information, but the audience was not satisfied. And the Navajo Nation President ripped the EPA, and will continue to “hold their feet to the fire”. If you want any video from tonight’s meeting, or tomorrow’s Silverton Town Council mtg. 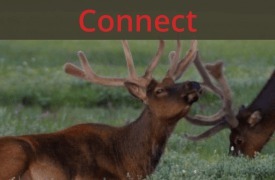 or Wednesday’s San Juan County Commissioner’s meeting with EPA on the agenda, let me know. We need more expertise in the future to deal with the toxic water in these mines. The piece in the Durango Herald read as though the methods were crude and guess work was used. The EPA needs to investigate the condition of the mines concerning the water pressure and amount of water before they do any digging. I’m not an engineer but it doesn’t read like the attempted capping of Gold king was done with any engineering in mind. And, if you cap these mines and water pressure builds up, it has to go somewhere. We need a better solution as to what to do with the escaping water. What that is I don’t know but holding back the water may cause huge problems in the future. Has anyone offered to monitor the water toxicity at more than Bakers Bridge and 32nd Bridge? Is this something that San Juan Citizens Alliance is willing to take on ? I believe that many of us are willing to watchdog the progress and contribute some cash. What are San Juan Citizens Alliance plans concerning this incident ? How come the EPA did not know about the location of this station until this weekend when they have been studying this mine for 17 years? On page 17/18 you can see the toxic metals they measured from Cement Creek. How come they did not use this data to properly disclose the types of toxins which were in the spill? How come they failed to disclose the accident for 24 hours to the proper authorities when the plume was traveling 4-5 miles/hour towards recreational water users, irrigation canals, homeowners wells, city of Durango water inlets, etc.? This alone needs investigation and accountability, no excuse to withhold their actions from the public they are supposed to be protecting. How come the EPA is still in charge here and we are waiting for them to collect and to interpret data which they are choosing to be slow about and not release? How come we have not called “foul ball” and insisted on outside independent and unbiased engineering contractors to come in and take over this mess? EPA certainly wants to cover their backside to minimize their future liability. We now have the same negligent agency who created this mess investigating themselves. There could very well be criminal negligence here and I see this should be treated like a crime scene. We need outside help to come in and take over this operation and actions and motives of the EPA. I suspect we have negligent hiring, engineering, planning, training, oversight, and supervision, and currently negligent retention. What were they thinking, going in to remove the plug with all that water pressure building up for a year behind the plug? 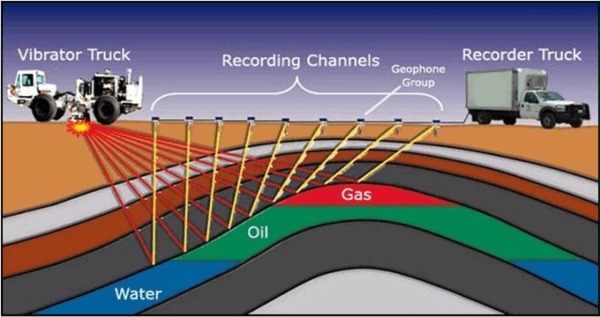 How come they did not drill down from above to determine the vertical water level in mine. Why would they plug it up in the first place without knowing the hydrology issues? How come they had inadequate retaining ponds in place to capture the mine effluent? Certainly they had to know there might be some pressure and water building up behind the plug. Who decided to remove the plug and why? Who was supervising the work at the time of the incident? 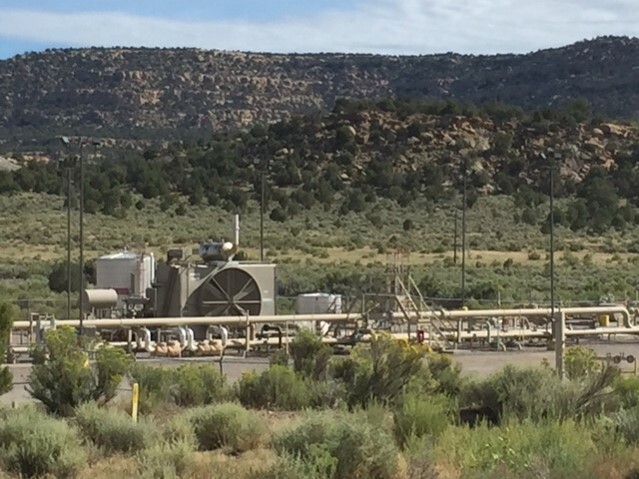 How come a retired vacationing geologist from Farmington, NM, Dave Taylor, was able to foresee the failure of the plug earlier this summer and the EPA and the Silverton Town officials did not take heed ? Mr Taylor wrote a detailed letter to the editor of the Silverton Standard after attending the June 23rd, 2015 EPA/town meeting in Silverton explaining how the “plug” was doomed to failure and would release all the toxic water back into Cement Creek within 7 to 120 days. Mr Taylor describes a possible scenario in his letter and calculated the proper 500 gal/minute rate of water accumulation backing up with a vertical head pressure of 1:2.31 ft which would backfill the mine and continue to build increasing pressure . Mr Taylor points out that the toxicity of the effluent may very well be increased by the action of the EPA plug, “Contamination may increase due to disturbance and flushing action within the (mine) workings”. If Mr Taylor is correct, then the EPA plug may have worsened an already bad situation by concentrating more metals into the already toxic mine effluent. Mr Taylor believes the EPA did this knowingly as they had an “agenda” with the Town of Silverton who had been fighting them on the Superfund issue. for years. Not sure I buy into the “conspiracy”theory, but certainly the EPA engineers had to understand they were creating an underground “bomb” in the mine by plugging the mine and backing up the water and creating a pressurized situation within the mine. 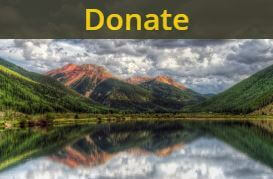 Then they go and release it into the Animas watershed…??? I hope we get some answers amid the confusion and I hope the river can be cleaned up as best it can considering the toxic residue left behind. I really hope your citizen action group can help with accountability issues and help to answer my questions. There has been since this happened and still exist Time Sensitive issues that are Not being addressed ! another excellent post, SJCA! The Great Old Broads are available and willing to help with safey (ie, Sta Rita [I’m talking with the Sheriff]), wilderness water samples, and other work as needed. Please keep us in mind!